I don’t know everything about boys, but I know a lot more now, seven years after the first of our three boys arrived in the world. Now that I am further along the journey, I feel like I can say, with a level of confidence, which boys’ toys are worth investing in and which will really go the distance, lasting years and several children. Even though our boys are all quite different in personality and temperament, the toys I have listed below have been winners for all three of them and worth every cent. I hope this post provides some ideas for parents of boys and those buying gifts for boys. By the way, an equivalent post about Girls Toys that Keep on Giving is in the pipeline, so stay tuned! When our eldest son was little, I could never ever have imagined how often and for how many hours our children would wear costumes. Just last week my 5 year old went to school pick up in a Where’s Wally outfit and my toddler was dressed as a dinosaur. We have a number of costumes of varying quality. The poorer quality costumes are generally occupational – pilot, doctor, fire fighter, builder and chef. 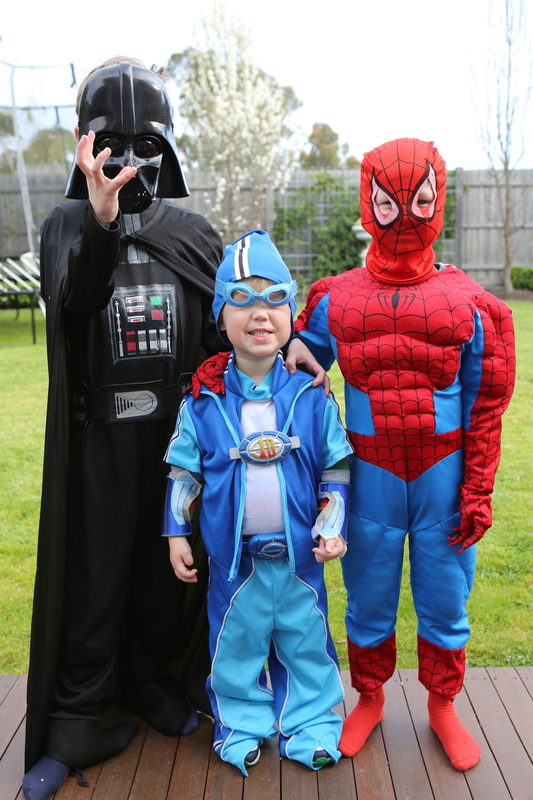 We also have a number of “movie” and “superhero” costumes including Buzz Lightyear, Woody, Darth Vader, Han Solo, Spiderman, Superman, Batman, Iron Man and Sportacus, not to mention the dinosaur, wizard and cowboy ensembles. We also have a range of props including clown wigs, glasses and Where’s Wally’s striped scarf and beanie. It is possible to pick up a cheap costume for $10 from K-Mart and mid range costumes from toy shops such as ToysRUs for around $20 – 40. If I had any inkling how much love and wear these costumes would receive over the years, I would have invested in better quality costumes across the board earlier and bought multiples of Sportacus and Spiderman. At least one of our children is wearing part of a costume every day and on weekends, sometimes all three of them. Even now, with our eldest in Grade 1, I cannot envisage a time when our costumes won’t be worn, particularly with Book Days and various other school and kinder dress up days and themed birthday parties. Nearly three years ago we bought a very big, very expensive Springfree trampoline. A friend with three slightly older boys recommended that we buy the biggest trampoline we could afford/fit in our backyard. It was a significant outlay at the time, but with two boys and the expectation of a third child to follow, we knew that we would be entertaining a lot of boys in our backyard for a very long time. I can honestly say that our trampoline has been worth every cent. Unless it is raining, all three of our boys are on the trampoline every day after school. 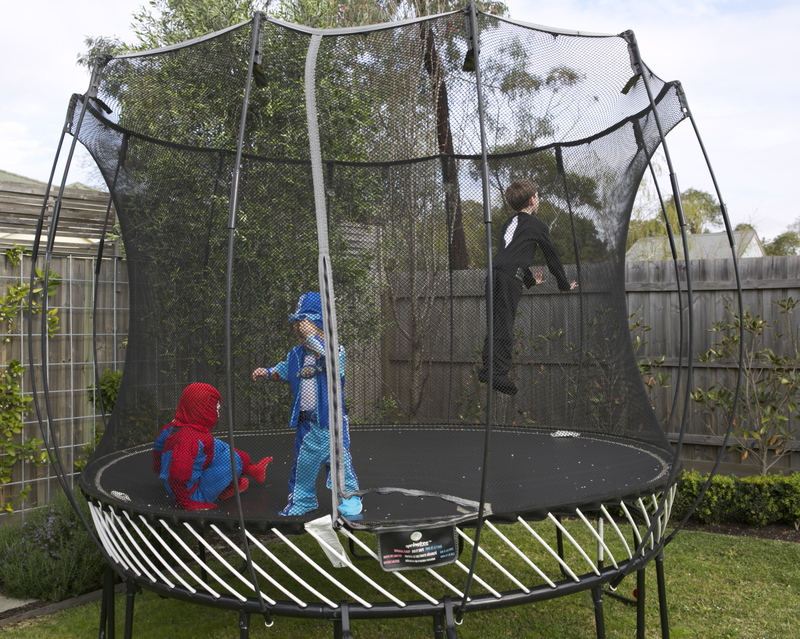 Whenever friends come over, the kids all go straight to the trampoline. In contrast, our cubby house, which was in a similar price range, receives far less use and attention and requires regular cleaning out/de-spidering. As an aside, our cubby house has been used the most by our toddlers (1-3 years old). Our trampoline truly is the gift that keeps giving. When our eldest child was two, we bought him his first set of Duplo. Our collection has steadily grown over the years and is currently used by all three of our boys, when they all play together. Given a choice, Mr 7 now prefers Lego but Mr 5 likes playing with Duplo or Lego, so depending on who is at home with him, there is always a fun construction option at hand. As well as providing endless hours of relatively quiet enjoyment, Duplo never breaks, is hard to lose and easy to store. Did I mention I love Duplo? As for Lego, Mr 7 received his first set on his 5th birthday and it was love at first construction. The love affair continues to blossom, and he spends time every day playing with Lego. Mr 5 also loves playing with Lego and they play (sometimes) happily together every morning before breakfast. 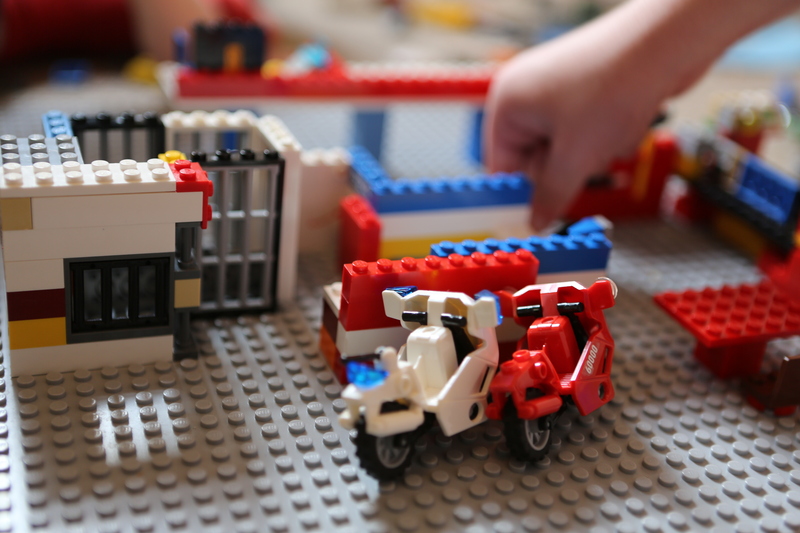 In fact our greatest parenting achievement is thanks to Lego – last summer holidays our two eldest boys played Lego for 5 hours. Uninterrupted. Happily. It was surreal. It has never happened again but we live in hope and needless to say, we take Lego wherever we go. I love these lifelike, detailed figurines and co-ordinating products (trees, dwellings, vehicles etc). They are not inexpensive but are well made and durable. 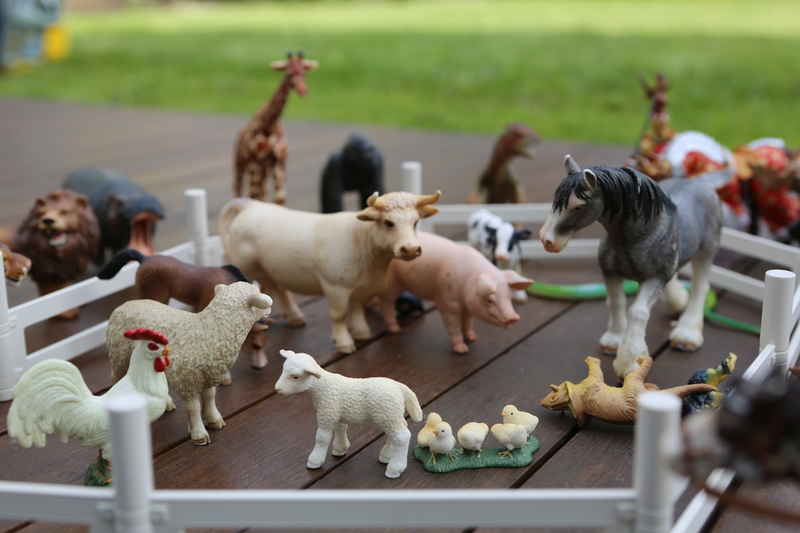 We initially bought a set of the Schleich farm animals for our eldest son for his first birthday. Since then, our collection has grown to include dinosaurs, cowboys and knights from Papo and a jeep with a horse float. All three of our boys play with our Schleich collection although their interest seems to peak when they are preschoolers. 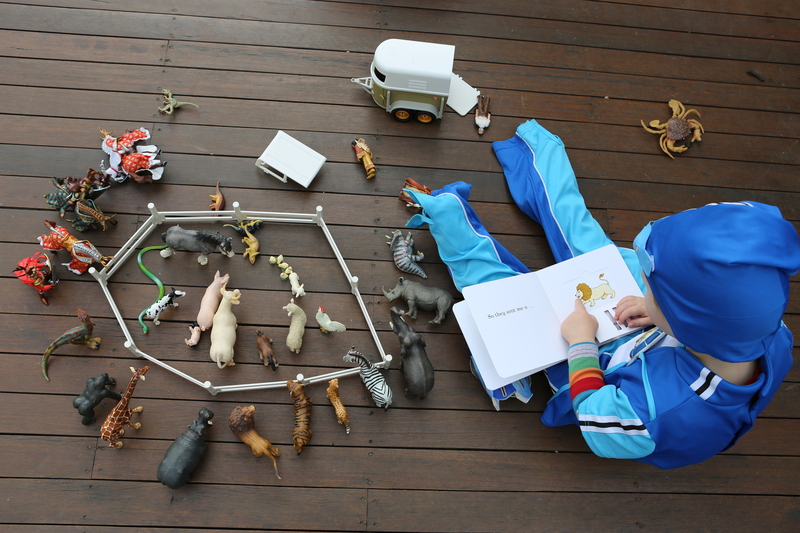 Mr 5 loves playing with them at the moment and incorporates blocks, Duplo and other toys into his play. 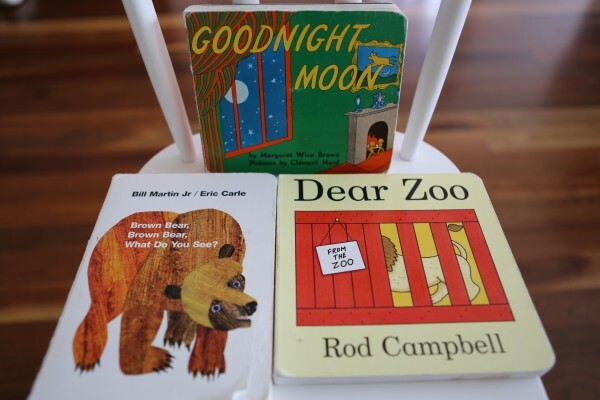 We have also been known to use them when reading books such as Dear Zoo. You can buy Schleich products from various toy stores and online here. Goodnight Moon by Margaret Wise Brown and Clement Hurd. These stories have been read thousands of times over 7 years and will forever remind me of my children’s early years. I especially love it when our eldest child reads these stories to his younger brothers. All three of them are also mad for Curious George anything – from board books to paperbacks to anthologies, they love to read about the mischief George gets up to (they are learning about shenanigans from a Pro!). They all also adore Oliver Jeffers books, from Lost and Found (suitable for younger readers) through to the longer and whimsical Stuck, The Great Paper Caper and This Moose Belongs to Me. Other toys that deserve honourable mentions include puzzles, cars, Thomas the Tank Engine trains and musical instruments – they have been loved and played with but not with the same enthusiasm and consistency by all three of them as the toys I have mentioned above. What are your “must have” boys’ toys? Do you find it easy to buy gifts for boys?